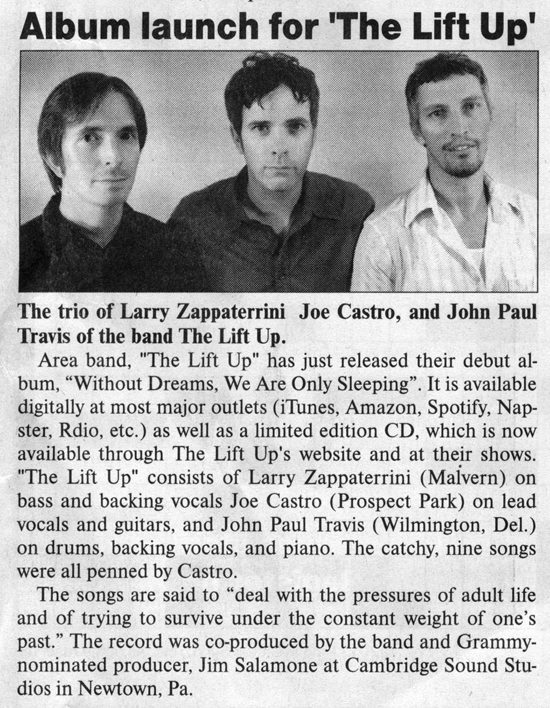 “The Lift Up’s fantastic debut was recorded in the spring and mixed and mastered in the summer with Jim Salamone at Cambridge Sound Studio in Philadelphia. 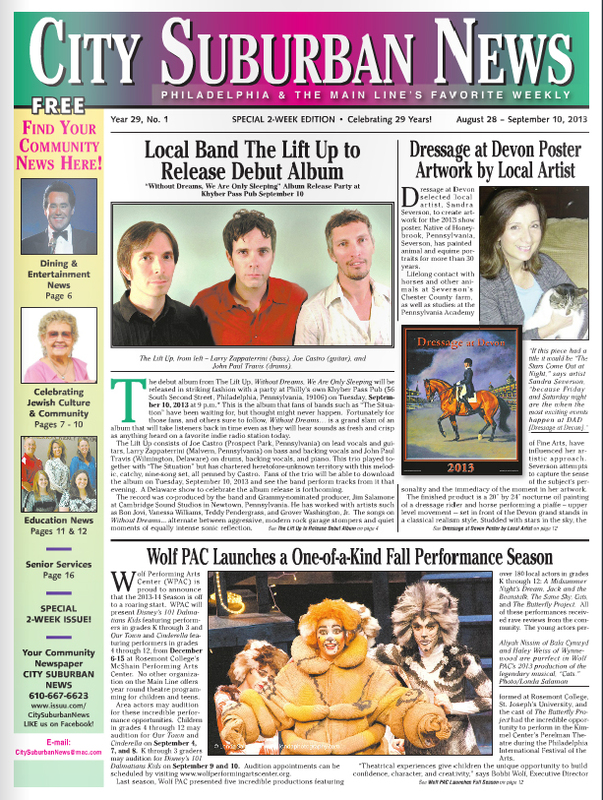 The album features the wistful songwriting and storytelling skills of lead singer and guitarist Joe Castro, with a theme that seems to board the listener on an intriguing and timeless walk down memory lane from childhood familial history to present proof. 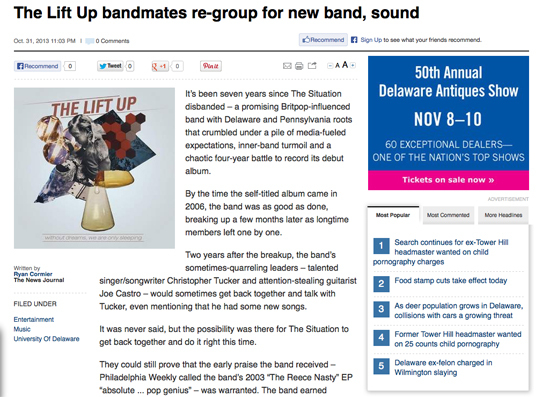 phillygirlabouttown.com (11/02/13) Click here to read the entire article. 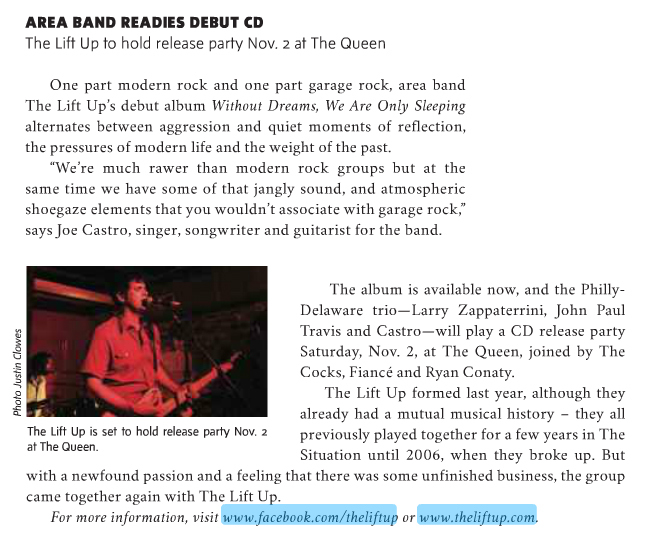 “The tracks are soulful, honest accounts of the constant pressures of the modern life with a lingering nostalgia of yester years. It is vividly reminiscent of the period in our lives when we were in relentless conflict between running away and staying right where we are. The nine songs are intensely written and paired evocatively with some 90s pop acoustics. With clear influences from The Smiths, Leonard Cohen and The Jam, among others.